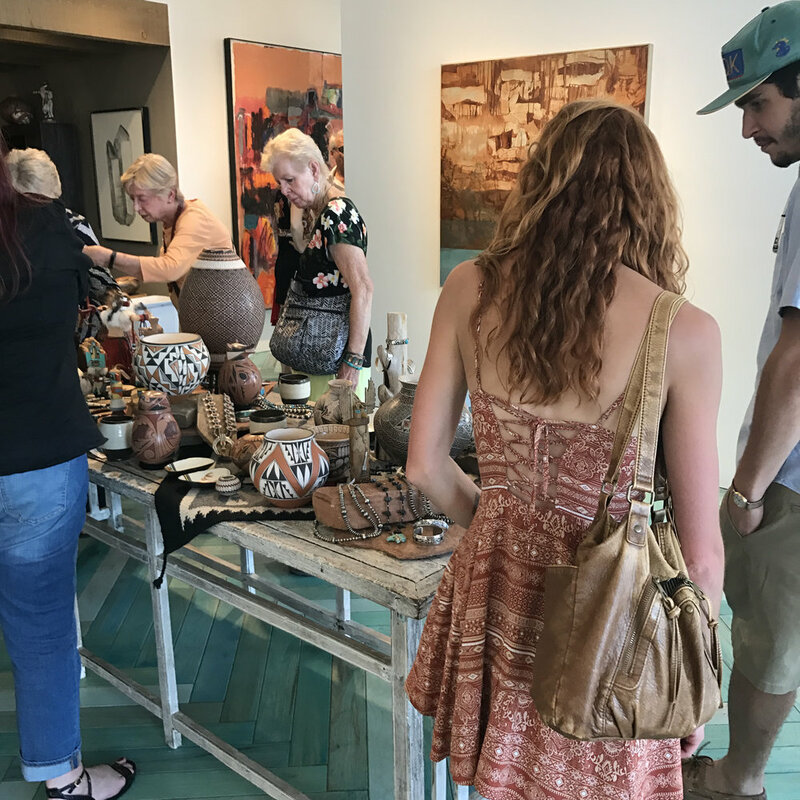 Thank you to everyone who attended our July Gallery Stroll featuring our "Native Voices" Exhibition and our Contemporary Trading Post. This group show features works by our artists of American Indian descent including Shonto Begay, Nocona Burgess, Sheldon Harvey, Patrick Hubbell, Frank Buffalo Hyde, Petecia Le Fawnhawk, Courtney Leonard, Stanley Natchez, Ben Pease, Kevin Red Star, and Veloy Vigil. 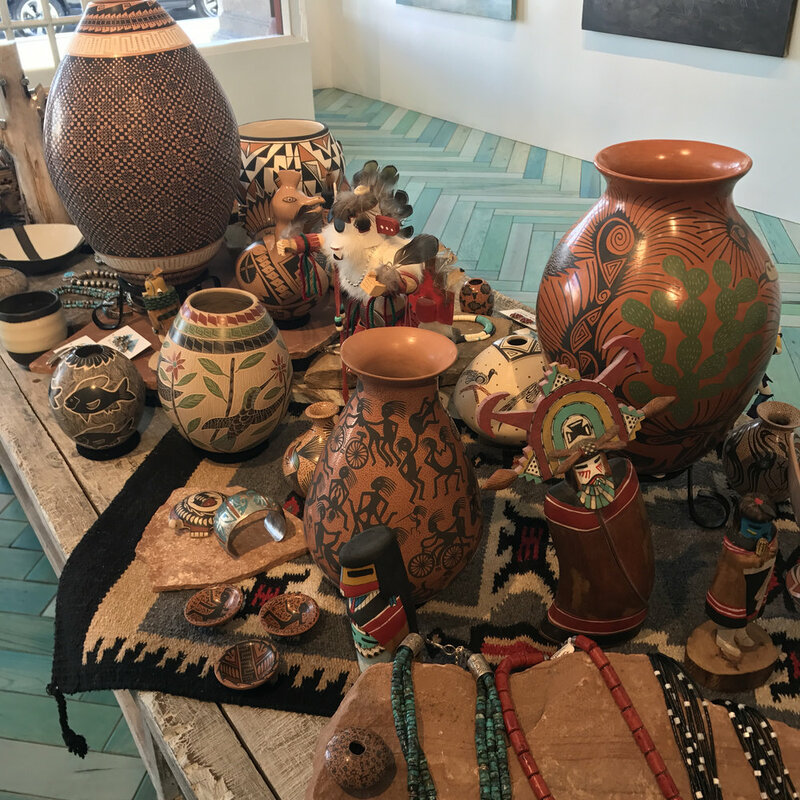 In conjunction with Native Voices, our Contemporary Trading post highlights our handmade Mata Ortiz and Acoma pottery, kachinas, and jewelry. The exhibition will be on display through August 12, 2017.